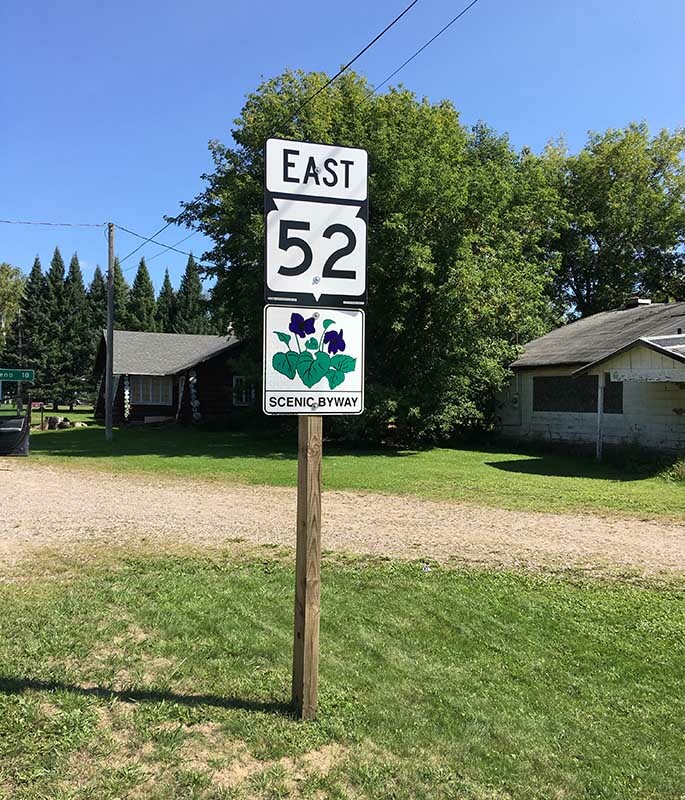 Highway 55 at the intersection of Highway 64 in Langlade County serves as one of the southern access points on the Nicolet-Wolf River Scenic Byway. The second longest scenic Byway in Wisconsin, at 145 miles, includes views of the Wolf River, a designated Outstanding Resource Water, the Chequamegan-Nicolet National Forest, numerous State Natural Areas, lakes, and many other scenic areas. Along this route there is limited development. Native American communities and a few small farms are found along the Byway. 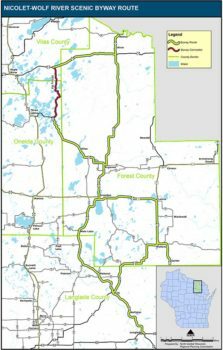 The majority of the route is located in Forest County, with segments in Langlade, Oneida and Vilas Counties. With views of the Wolf River, Chequamegon-Nicolet National Forest and the lakes and forest of Forest, Langlade, Oneida and Vilas Counties. State Highway 55 is the primary route, and segments of State Highways 32, 52 and 70, form a route configured as a double loop or figure “8”. In addition, there are numerous designated State Natural Areas and significant trails. The scenic and natural resources are a large part of the region and the Byway’s identity.